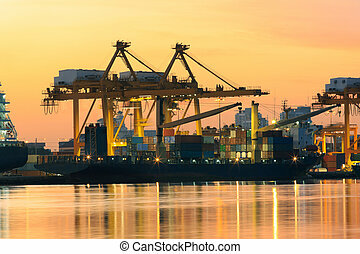 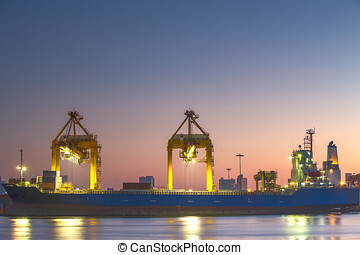 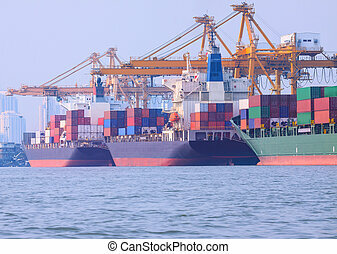 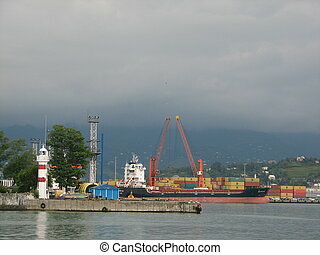 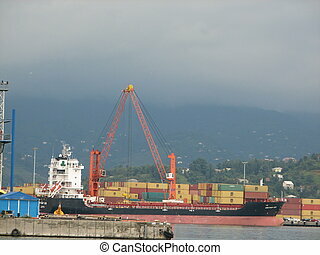 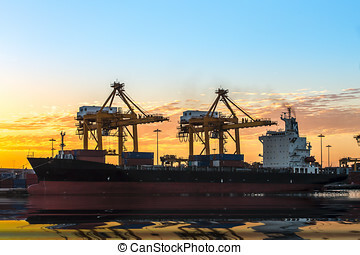 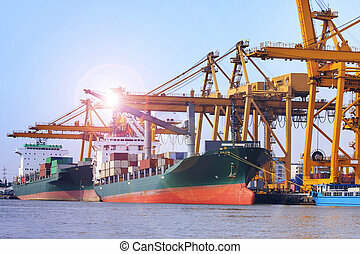 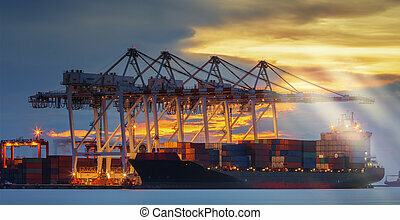 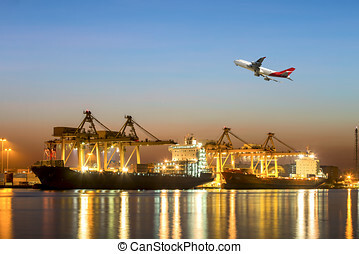 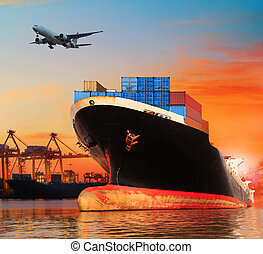 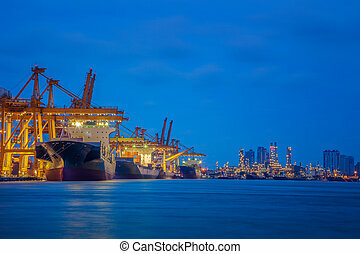 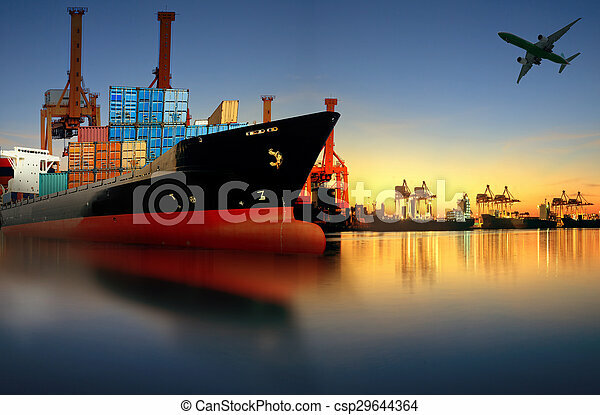 Container ship in import,export port against beautiful morning light of loading ship yard use for freight and cargo shipping vessel transport. 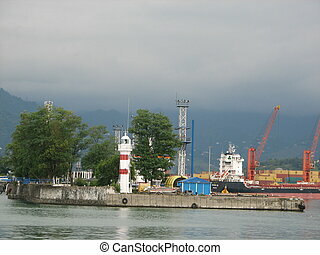 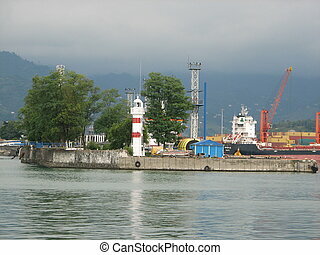 Cargo ship for commercial transportation in the port of Batumi, Adjara, Georgia. 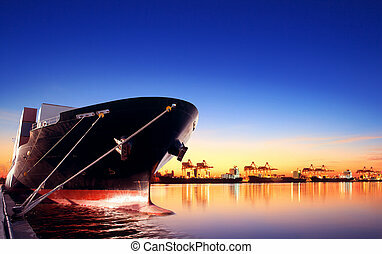 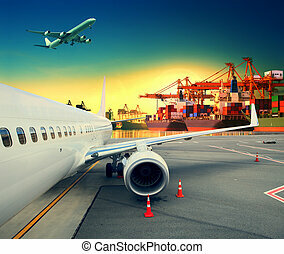 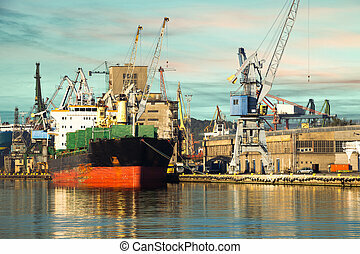 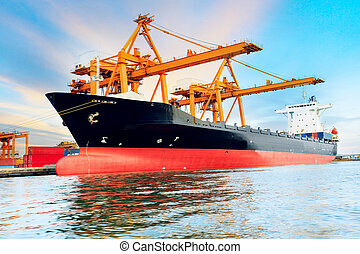 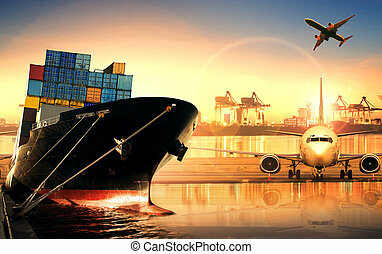 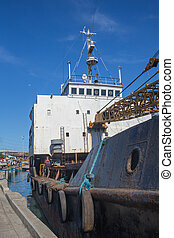 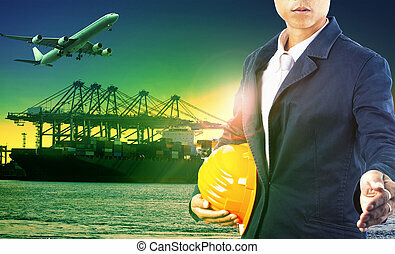 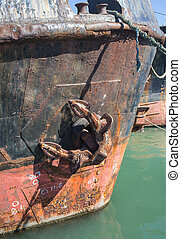 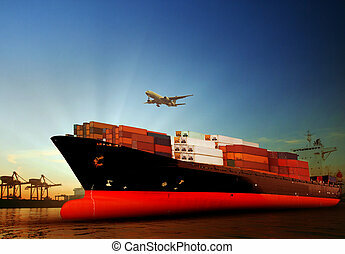 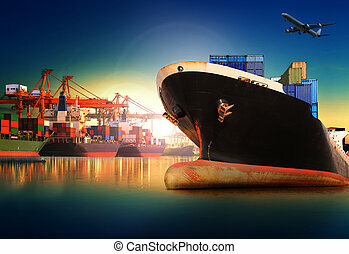 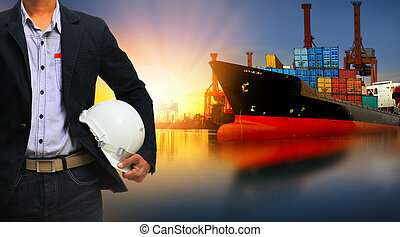 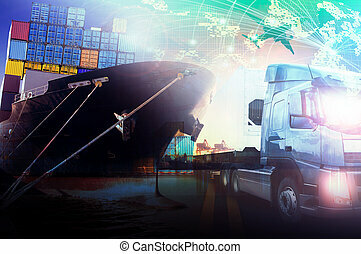 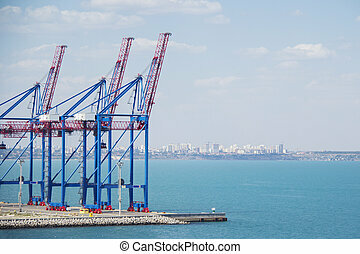 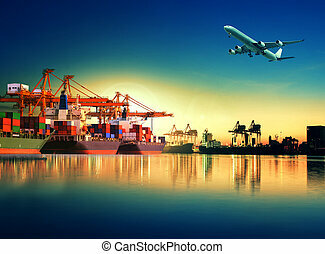 For use in ports for the import, export of sea-going vessels and logistics for the industry. 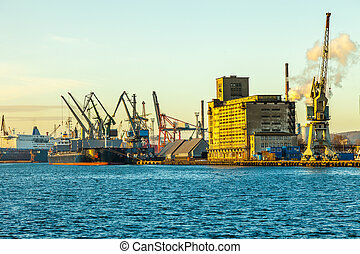 Cargo ship in the morning light on port of Gdansk, Poland. 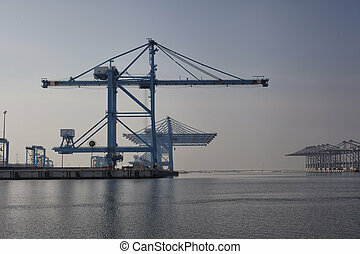 Deserted port terminal in a harbour for loading and offloading cargo ships and freight with rows of large industrial cranes to lift goods off the decks and from the holds.